Though individuals with ADD/ADHD have the talent and skill to reach their goals, they often have a difficult time sustaining the arousal and motivation to accomplish them. It can be a real struggle to maintain focus on a longer-term goal or to even remember that goal, especially when it is so easy for those with ADHD to get distracted by anything that is more stimulating at the moment. Sometimes it helps to have an outside source to help keep focus and accountability. ADHD coaching works on this concept. A coach partners with their clients to create daily structure and organization while providing support and encouragement to set goals and rewards and keep them focused even when obstacles occur. Roger was a fan of ADHD expert, Dr. Edward (Ned) Hallowell, who wrote the pioneering book Driven to Distraction with Dr. John Ratey. When Dr. Hallowell released a video called ADD from A to Z, Roger bought it and watched it with his ADD support group. “I'd never had the patience to watch it all the way through otherwise,” admits Roger. The video addressed the concept of “life coaching” to help those who had trouble organizing their lives and accomplishing tasks and goals. “Hallowell recognized that once a week or less frequent counseling didn’t achieve significant progress for some clients. They needed more frequent help.” Roger saw that he needed this too. “So Hallowell developed the concept of life coaching. The life coach did not provide counseling but offered frequent support. 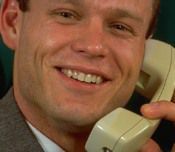 For example, "a short (e.g., 10-minute) phone call each working day or as agreed upon,” is what Roger used as a variation of Dr. Hallowell’s H.O.P.E. strategy with his own support group by partnering group members up to help one another. H – Hello: greeting each other and sharing results from the previous day. O – Objectives: or goals for that day with a maximum of three goals. P – Plan: a realistic plan to achieve goals. E – Encouragement: realistic support, such as pointing out progress over time. In addition to gaining support, there is a wonderful sense of providing support in the partnership, as well. Roger helped his buddy reach his goals in preparing for and passing a professional exam that his partner had failed on the first try. One great way to find a partner is through an ADHD support group or similar organization. Check out the following links to see if there is a support group in your area. If a support group is not available in your area, visit an online ADHD forum to see if you can connect with someone with similar goals. You may find it too expensive to make out-of-state phone calls. If this is the case, daily e-mails are another great way to communicate. It is important to partner with someone with whom you feel a sense of compatibility and trustworthiness. The partnership is a commitment for at least an agreed upon period. It is a commitment to make changes, to improve your daily functioning, to set and work toward goals and help another human being along the way. Should I tell people at work that I have ADD? Roger (name changed by request). Personal interview/email correspondence. 4 and 9 August, 2008. Edward M. Hallowell, MD, John J. Ratey, MD. Driven to Distraction: Recognizing and Coping with Attention Deficit Disorder from Childhood Through Adulthood. Touchstone. 1995.